Approved Smitty 2 1/4" Stripe NSAA football referee shirt with Body Flex fabric. 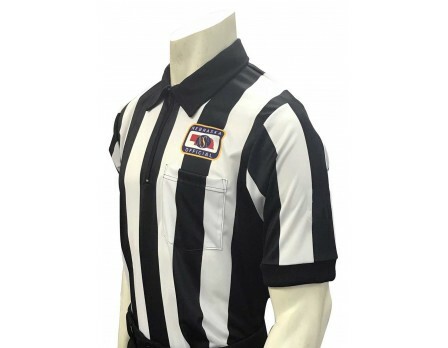 The Body Flex fabric in this 2 1/4" Smitty Football Referee Shirt is truly professional grade material. Until now, no other referee shirt has been made available to the public with its advanced 4-way stretch technology.